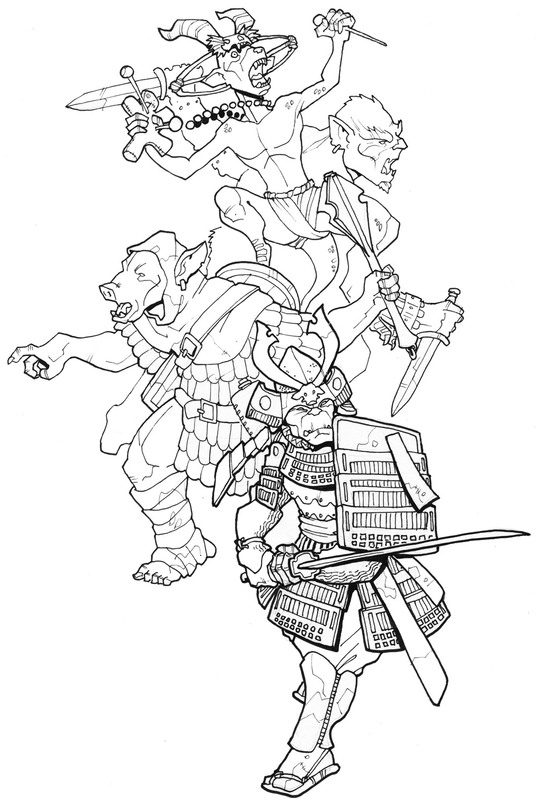 This would be a hobgoblin fighter, orc cleric, bugbear thief and kobold magic-user inspired by their original monster designs in ye old Manual of Monsters. I have the art, now I just need to write the article! Game crashed due to my own inability to keep up, but I've always thought of revisiting it. Man, I wanna play a bugbear thief!